The neighborhood gym with all the amenities you would expect to find in larger gyms. Whether you are a beginner or a seasoned athlete, our helpful staff is trained to assist you in effectively reaching your goals. Pinnacle Fitness provides the latest in cardiovascular and weight training equipment, as well as small group fitness classes. In our One-on-One sessions, you’ll learn from professional trainers committed to helping you experience the intrinsic benefits of exercise no matter what type of exercise you enjoy. Experience the benefits of a personal coach without the expense. Small Group Training allows more personalized attention enabling clients to achieve their goals faster. This sport specific training program will ensure your body is in top shape. Making certain your body is at peak performance levels when you need to be your best. The team at Pinnacle Fitness is passionate about fitness, putting your needs first and genuinely wanting to help you succeed! Our innovative approach intermixes the best exercises from a variety of disciplines such as weight training, dynamic stretching, plyometrics and cardio interval training. Complete training plans are designed to bring together a variety of disciplines in order to match a client’s needs and interests. There’s a reason why our members keep coming back … we treat you like family and with that comes support and success. 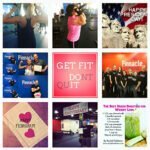 Join Pinnacle Fitness today and see for yourself!